Horse Chestnut botanically known as Aesculus hippocastanum is a medium to large deciduous tree. Other common names by which this herbal tree is known are European Horse chestnut, Conker Tree, Common Horse chestnut, Chestnut, marron europeen, escine, escin, aescin Cellu-Var, Marronnier Commun, Variclear, VeinAway, Châtaignier des Chevaux etc. It is a species of flowering plant in the soapberry and lychee family Sapindaceae. The tree is named Horse Chestnut because many believe it has horseshoe marks on its branches. Horse Chestnut is a deciduous tree seen mostly in mountainous forest areas. It is a native of northern and central parts of Asia, from which it was introduced into England about the middle of the sixteenth century. 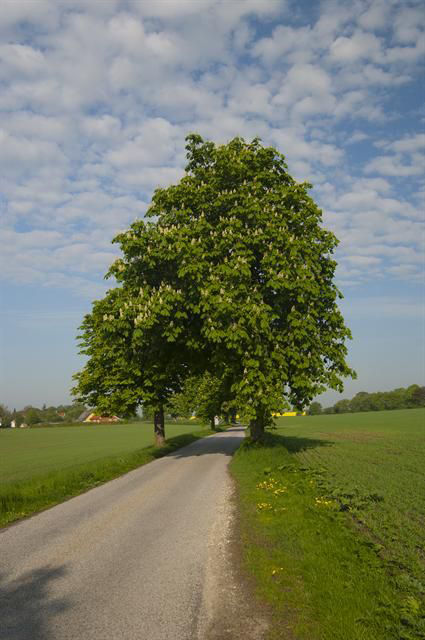 Horse Chestnut tree is a medium to large deciduous tree that can reach up to a height of 30 m (98 ft.) by 15 m (49 ft). They will thrive best in a sunny spot in soil that is humus rich and fertile, moist and yet free-draining. They will not do very well if their roots become waterlogged or if the soil fertility is poor. Neither will horse chestnuts survive very dry conditions. The trunk of the tree is very erect and columnar, and grows very rapidly to a great height, with widely spreading branches. The plant has smooth, grayish-green or grayish-brown bark. The wood, being soft and spongy, is of very little use for timber. It is often used for packing-cases. Leaves are dark green, rough in texture, and large, with minutely serrated edges. 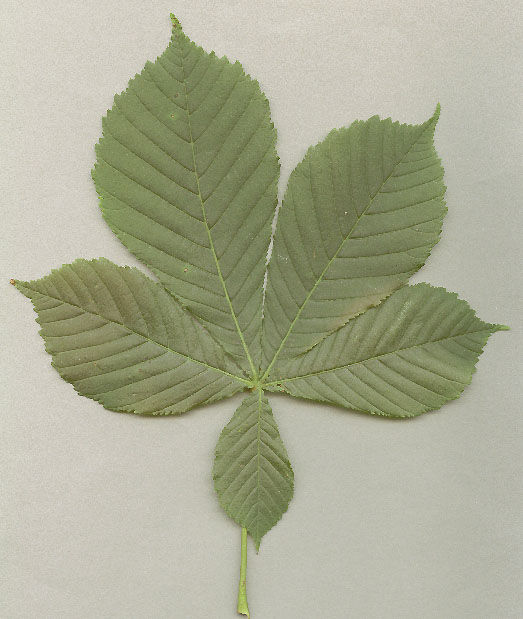 Horse chestnut leaves can be nearly 1 ft. (0.3 m) in length. They somewhat resemble a hand with five to nine leaf sections emerging from a palm-like base to form the finger-like projections. Flowers are mostly white, with a reddish tinge, or marking, and grow in dense, erect spikes. 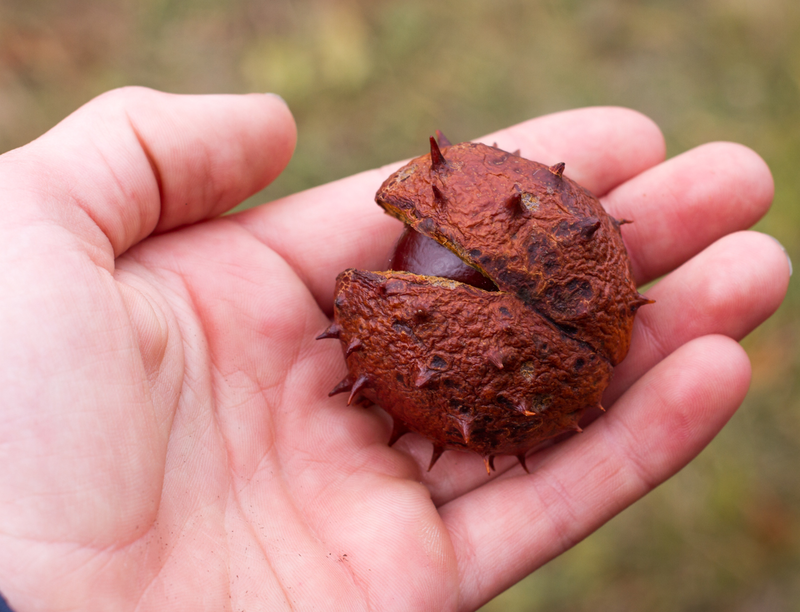 The fruit of the horse chestnut is a dark brown smooth-surfaced nut approximately 2 in (5 cm) in diameter. It has a polished appearance except for the rounded dull tan-colored scar on the side that was attached to the seed vessel. 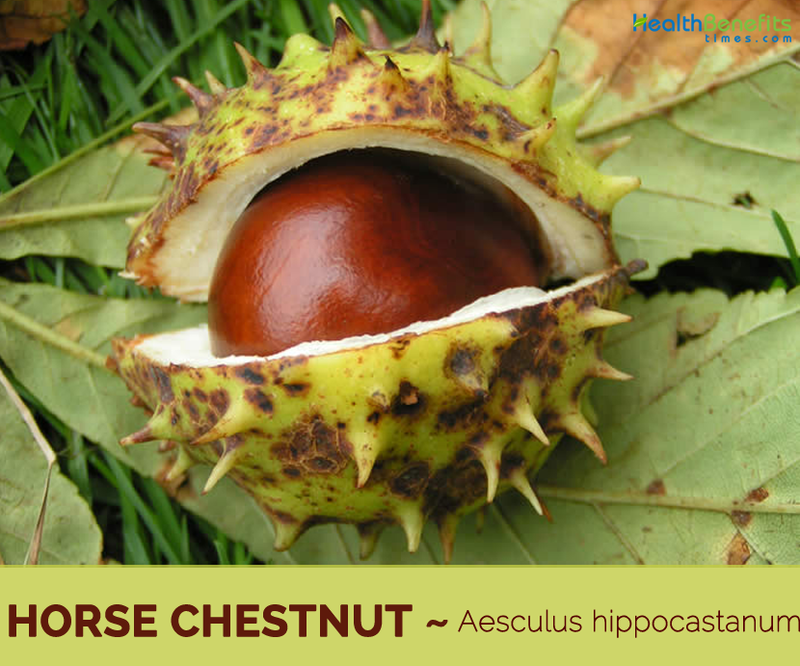 Horse chestnuts are enclosed in a light green spine-covered coating that divides into three parts and drops away prior to the nut dropping from the tree. Horse chestnut nuts contain mostly carbohydrates which are generally indigestible until boiled. They also contain saponins, tannin, flavones, two glycosides, aesculin and fraxin, some crude protein, a fatty oil, ash and water. Horse chestnut trees are native to the Balkan Peninsula (which includes such countries as Albania, Bulgaria, Greece, Romania, and Serbia), but are grown worldwide. Historically, horse chestnut seed extract was used for joint pain, bladder and gastrointestinal problems, fever, and leg cramps. Today, people use horse chestnut extract as a dietary supplement for chronic venous insufficiency (when the veins of the lower leg are unable to send blood back toward the heart), hemorrhoids, and swelling after surgery. Preparations made from the tree’s bark are applied to skin sores. Usable parts of the plant include the seed, bark, and leaf, but seed extracts are most common. Horse chestnut is an astringent, anti-inflammatory herb that helps to tone the vein walls which, when slack or distended, may become varicose, hemorrhoidal or otherwise problematic. The plant also decreases fluid retention by increasing the permeability of the capillaries and allowing the re-absorption of excess fluid back into the circulatory system. Seeds are decongestant, expectorant and tonic. They have been used in the treatment of rheumatism, neuralgia and hemorrhoids. A compound of the powdered roots is analgesic and has been used to treat chest pains. Extracts of the seeds are the source of a saponin known as aescin, which has been shown to promote normal tone in the walls of the veins, thus improving circulation through the veins and promoting the return of blood to the heart. Veins that are either weak or under chronic stress are more likely to fail and thus more likely to allow leakage of fluid from the vessels into the tissue space leading to swelling. Fluid accumulation is more common in the legs and far more likely in individuals who stand for extended periods of time. Prolonged standing and obesity can increase pressure within leg veins causing weak veins to swell, leak and deteriorate into varicose veins. Aescin performs an antioxidant function and has a general vaso-protective role by protecting collagen and elastin (the two chief proteins that form the structure of veins). By protecting these key vessel proteins, veins and capillaries stay strong and maintain their structural integrity when exposed to stress. 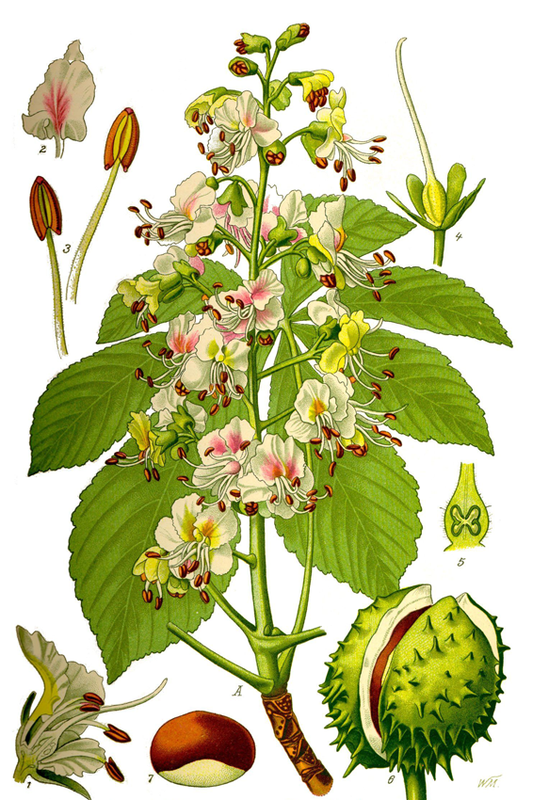 Extract of the horse chestnut is famous for its anti-inflammatory effects. Thus, it is widely used to treat arthritic and rheumatic aches, sprains, and pains. In fact, a lot of massage products used by athletes to treat joint or muscular pain after extraneous workouts consists of horse chestnut. To treat rheumatoid arthritis, mix 1 tbsp. of the horse chestnut oil in 1/2 tbsp. of olive oil and apply or massage this oil mixture on the affected areas 2 times daily. Horse chestnut is often recommended as an excellent anti-aging toner thanks to its antioxidant effects. This is because the extract of the horse chestnut promotes circulation and aids in toning and strengthening fragile veins &capillaries. In fact, it is one of the ingredients in many high-quality creams and lotions to reduce the appearance of fine line, wrinkles, and cellulite. Moreover, it is also added in many slimming, firming, and toning skin products. To get a healthy & glowing skin, simply combine 5 to 10 drops of the extract of the horse chestnut with 50 ml of vitamin E oil. Or, you may also add it to your favorite face moisturizer & apply it nightly before bed. The anti inflammatory properties of horse chestnut come handy in treating leg ulcers and frostbite. In these cases they can be used as an ointment for external application. Horse chestnut can be used to reduce fluid retention that is edema particularly the one that is caused due to trauma or sports injury. Horse chestnut is found to improve blood circulation and elasticity of blood vessels and thus helps in giving relief from leg cramping. Since horse chestnut is useful in improving circulation it is also used in giving relief from phlebitis that is the problem of swollen veins. Take 10 tbsp distilled witch hazel and then add 1 tbsp horse chestnut tincture to this. Next, mix them together to form a mixture. Now, you can apply the mixture to your spider veins. Or, mix equal part of the horse chestnut extract & grape seed oil and then gently apply it to the affected areas before bedtime. Now, leave it overnight. Another option, you may consume 250 milligrams of the extract of the horse chestnut seeds daily until your problem is treated. The plant is taken in small doses internally for the treatment of a wide range of venous diseases, including hardening of the arteries, varicose veins, phlebitis, leg ulcers, hemorrhoids and frostbite. Tea made from the bark is used in the treatment of malaria and dysentery, externally in the treatment of lupus and skin ulcers. Tea made from the leaves is tonic and is used in the treatment of fevers and whooping cough. 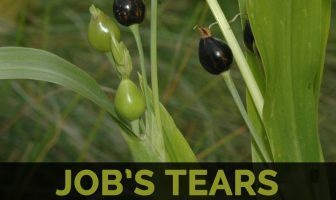 Seeds are decongestant, expectorant and tonic. Seeds have been used in the treatment of rheumatism, neuralgia and hemorrhoids. Oil extracted from the seeds has been used externally as a treatment for rheumatism. A compound of the powdered roots is analgesic and has been used to treat chest pains. It improves circulation, so it is helpful for the relief of leg cramps. Its bark also has narcotic and fever-reducing properties. 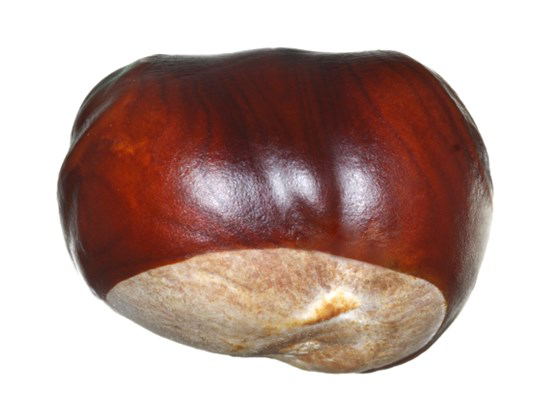 Aescin found in the horse chestnut fruit is often added to external creams and preparations used for the treatment of varicose veins, varicose ulcers, bruises, and sports injuries. Herbal teas made from the horse chestnut are traditionally used all over the world for the treatment of many different conditions, which includes disorders such as arthritis and also to treat rheumatic pains and coughs. Tea is often applied directly on to the skin as a treatment for some kinds of sores and rashes affecting a person. The roasted seed is used as a coffee substitute. Seed cooked can be dried, ground into a powder and used as gruel. It is also made into a lotion or gel for external application. 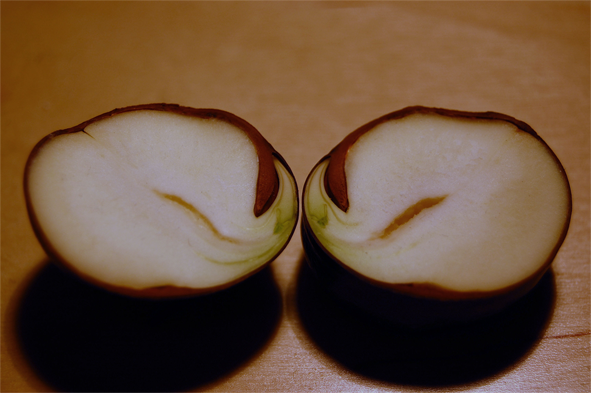 Saponins in the seed are used as a soap substitute. Starch obtained from the seed is used in laundering. Yellow dye is obtained from the bark. Flowers contain the dyestuff quercetin. Wood is soft, light, and not durable. It is used for furniture, boxes, charcoal. A very ornamental and fast-growing tree. Horse chestnuts have been used as fodder for feeding farm animals. Pregnancy & breastfeeding: Consuming the raw bark, seed, leaf, or flower is unsafe for pregnant and breastfeeding women and can cause death. The safety of taking horse chestnut seed extract that is removed the poisonous esculin during pregnancy or breastfeeding is still unknown. However, it is best to avoid using it if you are nursing or pregnant. 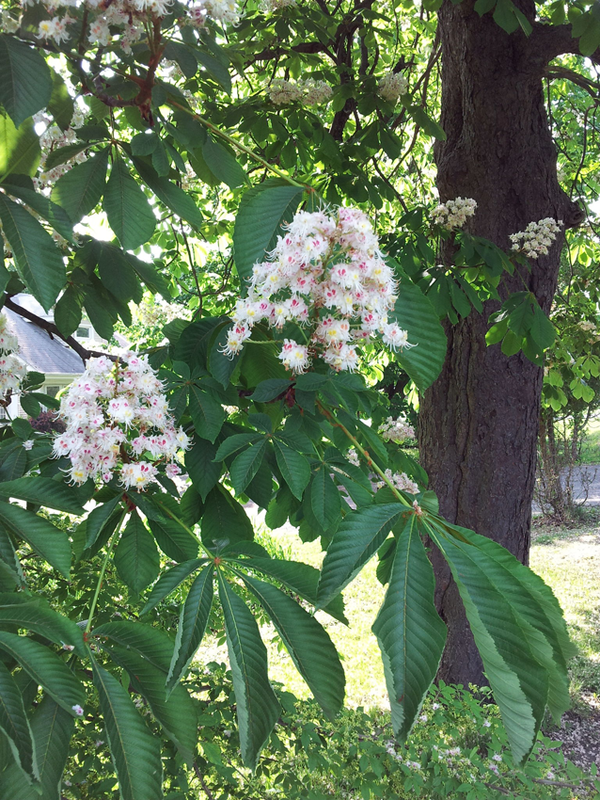 Diabetes: Horse chestnut may reduce blood sugar. If you suffer from diabetes, watch for symptoms of hypoglycemia (too low blood sugar) and check the blood sugar regularly. 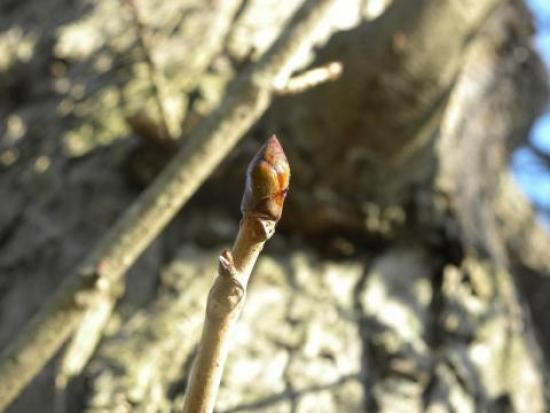 Bleeding disorders: Horse chestnut may delay blood clotting. Taking this tree may increase the risk of bleeding and bruising in people suffering from bleeding disorders. Digestion problems: The seeds and bark of the horse chestnut may irritate the gastrointestinal tract. Avoid using it if you suffer from bowel or stomach disorders. 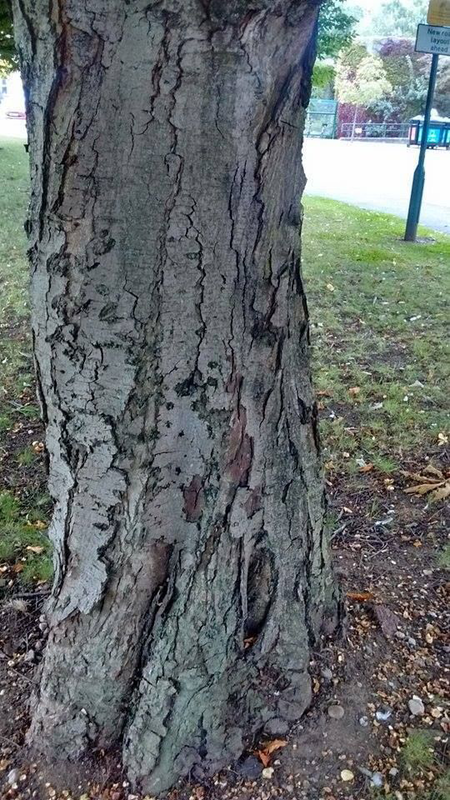 Latex allergy: People allergic to latex may also be allergic to this tree. 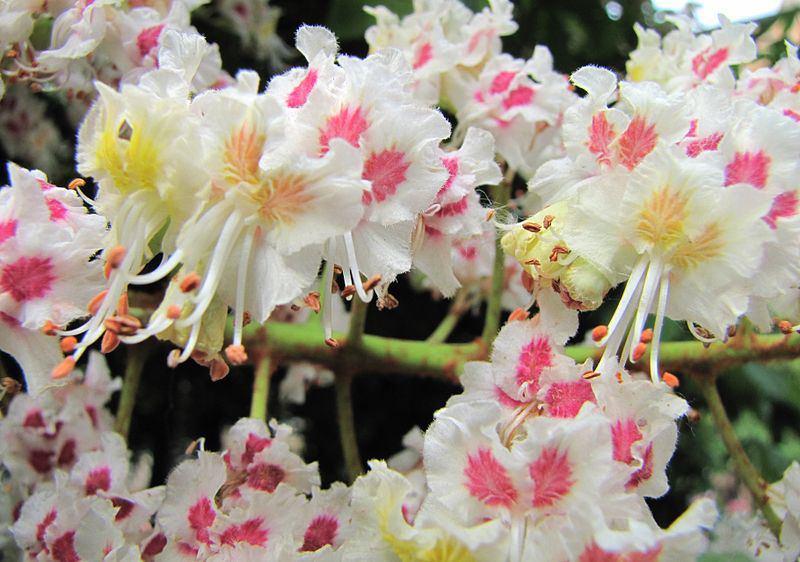 Kidney disease: Horse chestnut may worsen kidney disease. Avoid using it if you suffer from kidney problems. 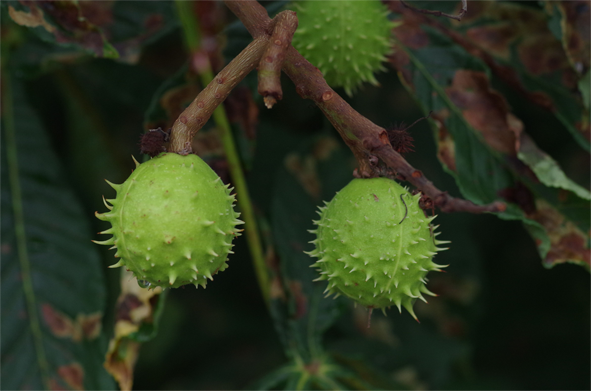 Liver disease: There is a report of liver injury related to using horse chestnut. Therefore, if you suffer from a liver condition, avoid horse chestnut. Surgery: Horse chestnut may slow blood clotting. It may give you a higher risk of bleeding if you use it before surgery. Stop using it at least two weeks before a surgery. Czech: Jírovec maďal, Koňský kaštan. Hebrew: ערםונית הסוסית Armonit hasusim. Italian: Castagna amara, Castagna di cavallo, Castagno amaro, Castagno d’India, Falso castagno, Ippocastano di cavallo. Japanese: Maronie (マロニエ), Seiyou tochi no ki (セイヨウトチノキ). Russian: Kаштан конский Kashtan konskii. Leaf Dark green, rough in texture, and large, with minutely serrated edges. Horse chestnut leaves can be nearly 1 ft (0.3 m) in length. They somewhat resemble a hand with five to nine leaf sections emerging from a palm-like base to form the finger-like projections. Flower Flowers are mostly white, with a reddish tinge, or marking, and grow in dense, erect spikes. 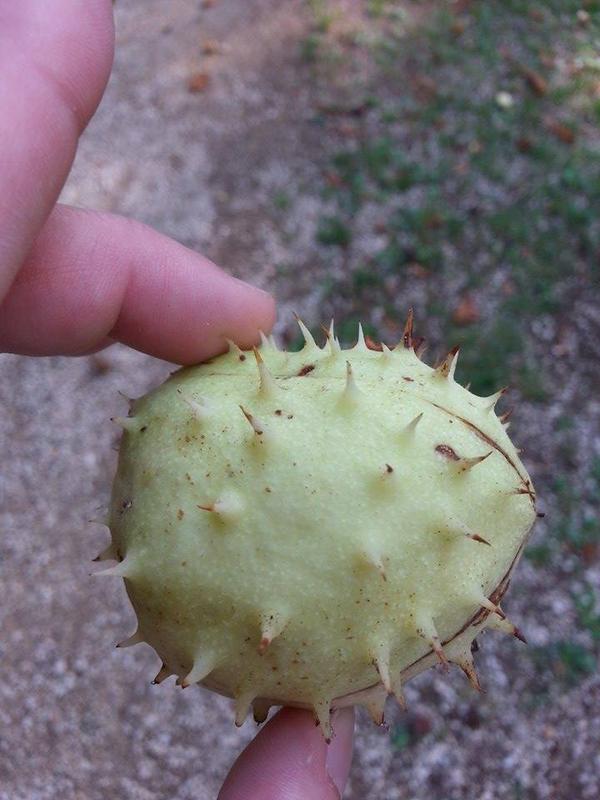 Fruit Shape & Size Globular dehiscent capsule consisting of 1-2 horse chestnut(s) encased by a leathery light brown husk covered with sharp spines.